The Impossibly Hard Super Mario Quiz! We mustache you some questions. Ask someone to name a short, stout mustachioed man in a red cap, and - outside a small section of society corrupted by Soviet nostalgia - you'll only get one answer: Super Mario. Since making his debut in the scaffold-straddling, primate-pummeling platformer Donkey Kong way back in 1981, the world's most famous plumber has become a video game darling and a cultural icon. Shigeru Miyamoto's superstar is today a byword for industry excellence, having set new standards with Super Mario Bros., spectacularly surpassing them with Super Mario 64, and most recently rocketing them all the way to the moon in Super Mario Odyssey. It's why adoration for our 1-Up boy is universal. With nearly forty years of history under his dungarees, it's fair to say Mario's been round the '?' block a few times. Having starred in enough games to earn two extra lives, even the most mushroom-mad would probably struggle to remember them all. Can you? 1. 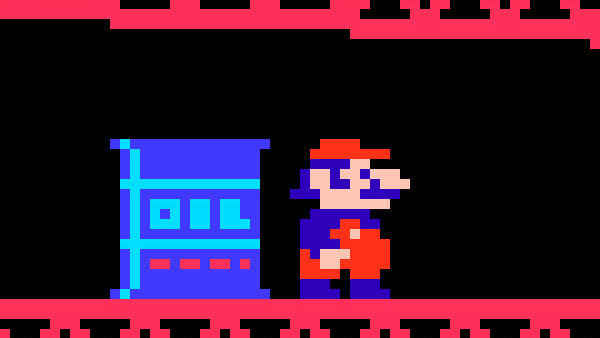 In Which Game Did Mario Make His First Appearance?